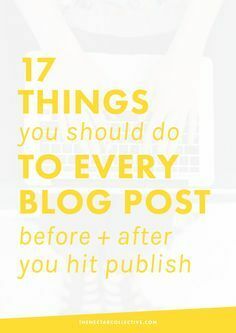 17 Things You Should Do to Every Blog Post Before + After You Hit Publish | If you want to grow your blog, but you're a little stumped on how to actually create high-quality blog posts or how to market your blog, then this post is for you! It includes 17 tips for bloggers, which will help your work be seen by more people — woohoo! Click through to check out all the tips.